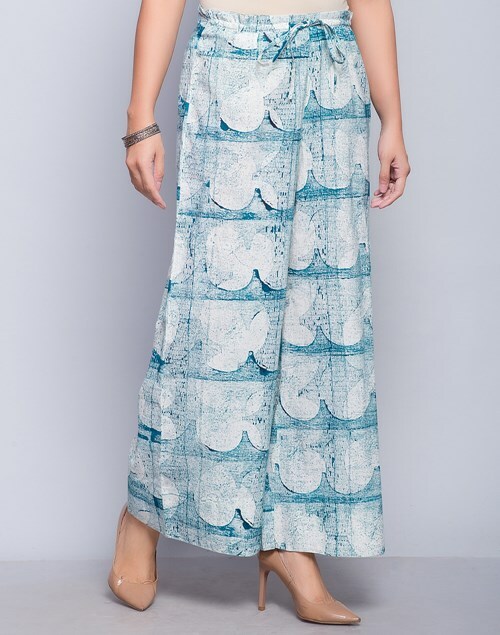 It is a staple in our wardrobes today, palazzo are a fairly recent development on the fashion scene.Palazzo are pants which are fitted at just the waist and start flaring out at end at wide flared bottoms. These became very popular during the 60’s and 70’s as a retro trend of the 30’s and 40’s. They have now made a comeback again for their sheer flexibility, comfort and style. Beige color with the print of paisley will pair good with a Kurti of navy blue color with heels. Mostof ladies like black color because you can wear any color top or Kurti with this color. But personally i will prefer crop top with this palazzo. Different style of printed pattern with two soothing colors is giving a very classy look. It will make you someone different in the crowd. 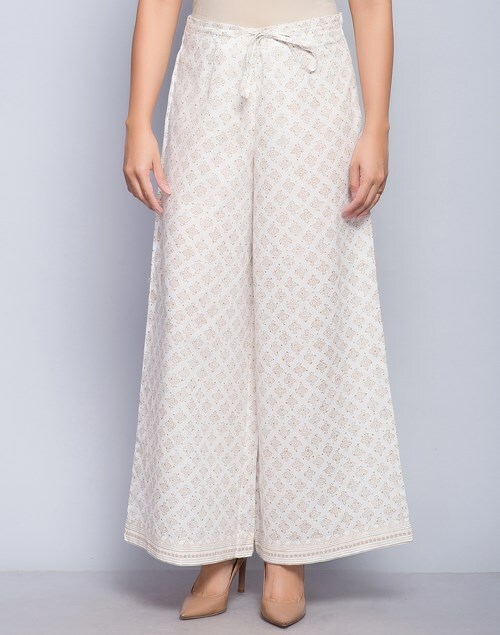 This white color palazzo is having khari print. 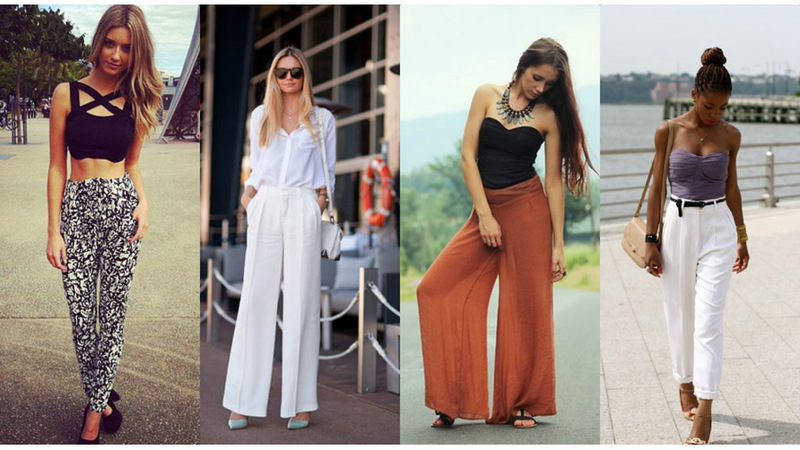 You can wear any color on it and carry it with heels for perfect look. Such bright colors makes a person full of joy. The traditional touch of Rajasthan on border is making it look ethnic.